Emmanuel Nwude on the left. Before internet scamming became rampant, there was this. A simple fax which changed the course of Nelson Sakaguchi’s life in 1995. He was a banker at the Brazilian Bank, Banco Noroeste. Emmanuel Awude who claimed to be Paul Ogwuma and the Director for Budget and Planning at Nigeria’s Ministry of Aviation sent a facsimile addressed to Sakaguchi. The note was prompted by the suggestion of a client conducting business with Noroeste. The client thought that the Brazilian bank would be interested in investing in the building of a new airport. Soon, Sakaguchi was aboard a plane for a trip to London. He met four Nigerians – one woman and three men. To appear more legit, one of the men gave Sakaguchi a business card with the words “Paul Ogwuma – governor of the Nigeria Central Bank” emblazoned on it. Sakaguchi was convinced and promptly gave the Nigerians a $35,000 in cash on the spot. They convinced Sakaguchi they would send $39 million at a later date. He never received the money. Yet and still, Sakaguchi wired $4.65 million to the group of Nigerians. The money came via Switzerland among other places and occurred in increments that spread out from March through June of 1995. He sent additional monies over the course of three years. The sum of money sent equalled $190 million. Emmanuel Awude the instigant and a former director at Union Bank of Nigeria, Christian Anajemba, his wife Amaka Anajemba and Nzeribe Okoli thought they had hit it big without nominal effort. They purchased homes in the United States, Europe and became business owners in their native Nigeria. Awude was the brain of the operation who impersonated Ogwuma. How did the plan begin unravelling? In 1997, the Spanish bank Santander showed interest in purchasing Banco Noroeste. A meeting was conducted between the Board of both companies. The head honchos at Santander identified that a substantial amount of funds belonging to Noroeste were kept in unmonitored bank accounts in the Cayman Islands. An investigation ensued in the U.S., Brazil, Britain, Nigeria and Switzerland. While Sakaguchi was on vacation, an audit concluded that he had conned the bank out of $242 million. Sakaguchi claimed he lost $9 to $12 million of the bank’s money through faulty trades. On February 11, 1998, Sakaguchi admitted to using the bank’s money to invest in an airport. He didn’t disclose how much he took. In a frenzy to close the deal and save the bank, the Simonsen and Cochrane families and the owners of Banco Noroeste shelled out $242 million to solidify the deal. The bank eventually buckled in 2001. In 2002 the Economic and Financial Crimes Commission (EFCC) was created under the direction of former Nigerian President Olusegun Obasanjo administration. The EFCC investigated and in 2004, the foul four were arraigned on 86 counts of fraud and 15 accounts of bribery. In 2004, the case was thrown out of court by Judge Lawal Gumi citing that the crimes occurred outside of Abuja. As soon as the three left the courtroom, they were rearrested and the case was moved to Lagos. In 2005, Ameka Anajemba confessed and was sentenced to two and half years in prison and ordered to repay $25.5 million. Okoli and Nwude pled guilty. The former was sentenced to four years while the latter got a 25-year sentence. Anajemba, Amaka’s husband was killed before the arrests. Nwude also had his assets frozen and was imposed with a $10 million dollar fine. He was released in 2006. 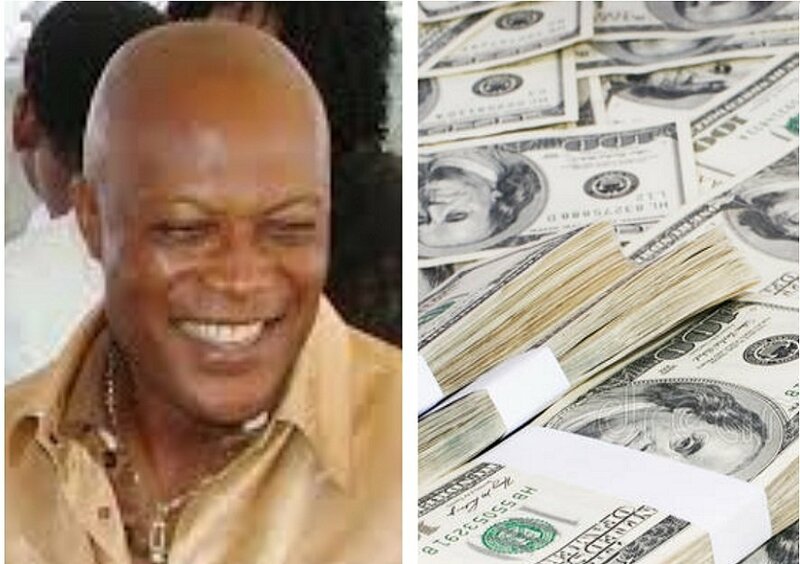 Nwude claimed to have earned his money legally before the airport heist and was awarded $52 million. In 2016, in a land clash between members of the Abagana and Ukpo in the Dunukofia communities of Nigeria, 200 people perished. The Anambra State Police Command implicated Nwude as the conspirator and he was arrested on murder, attempted murder and terrorist attack charges. Nwude is still being held at the Awka prison in Nigeria. William Richey, a Miami lawyer, begun a global crusade to recover the money. His multinational team’s efforts would trace $184million and recover $138 million, $94.5 million of it in assets. The factual airport named the Nnamdi Azikiwe International Airport began construction in 2000 and was finished in 2002.